There has truly never been a better time to be an author. For the first time, authors have direct access to the public via the Internet—and can create a community eagerly awaiting their book. But where do new authors start? How do they sort through the dizzying range of online options? Where should they spend their time online and what should they be doing? 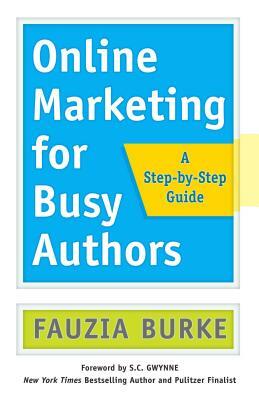 Fauzia Burke is the founder and president of FSB Associates, one of the first firms to specialize in digital branding and online publicity for books. Founded in 1995, FSB Associates has successfully launched more than 2,000 online book publicity campaigns. Burke has worked on books by Alan Alda, Sue Grafton, Brian Tracy, Joe Pantoliano, Marina Keegan, Kathy Freston, Deepak Chopra, and many others. S.C. Gwynne is the author of the New York Times bestsellers Rebel Yell and Empire of the Summer Moon, which was a finalist for the Pulitzer Prize and the National Book Critics Circle Award. He spent most of his career as a journalist, including stints with Time as bureau chief, national correspondent, and senior editor, and with Texas Monthly as executive editor. He lives in Austin, Texas, with his wife.